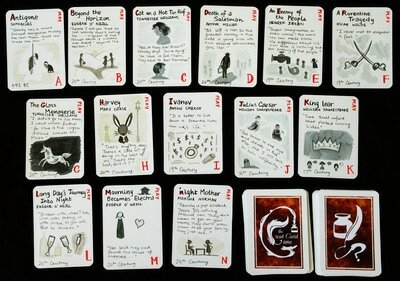 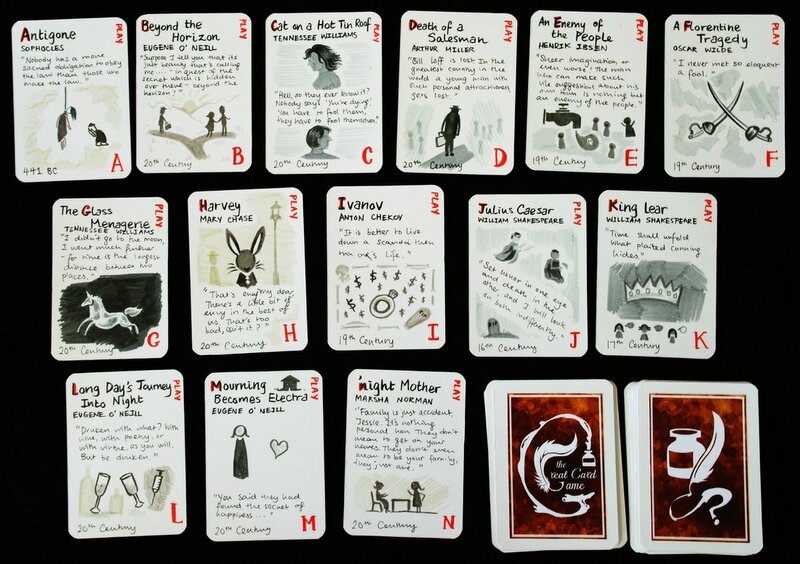 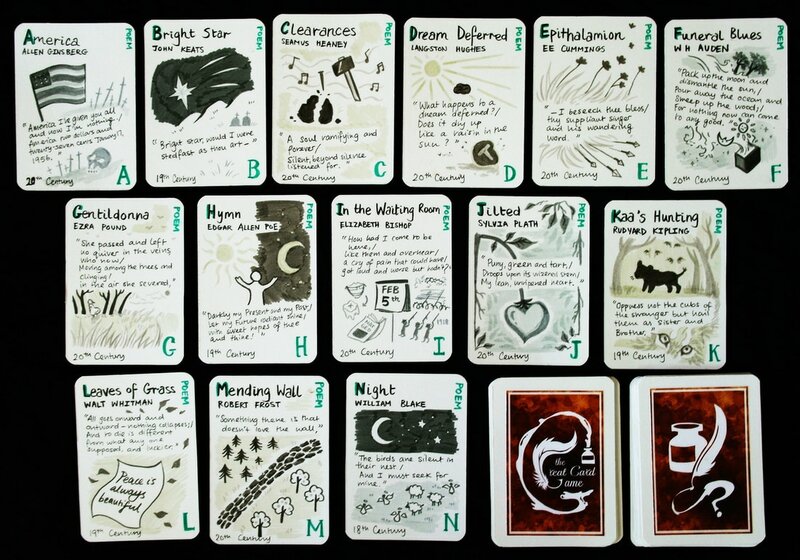 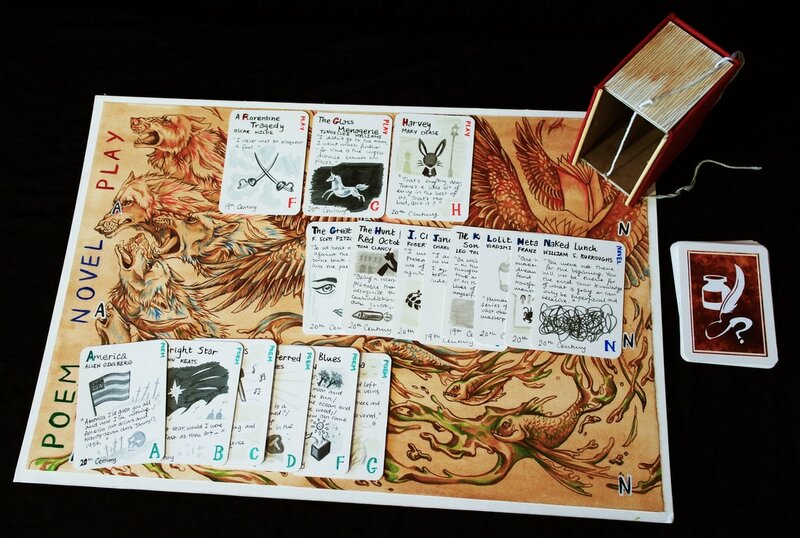 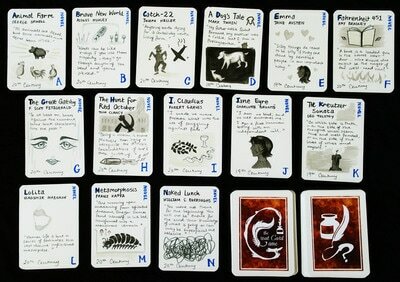 An original strategic card game where players distribute a deck of 42 cards (separated into three suits: play, novel, poem) and have to take turns placing all cards in order on the board. 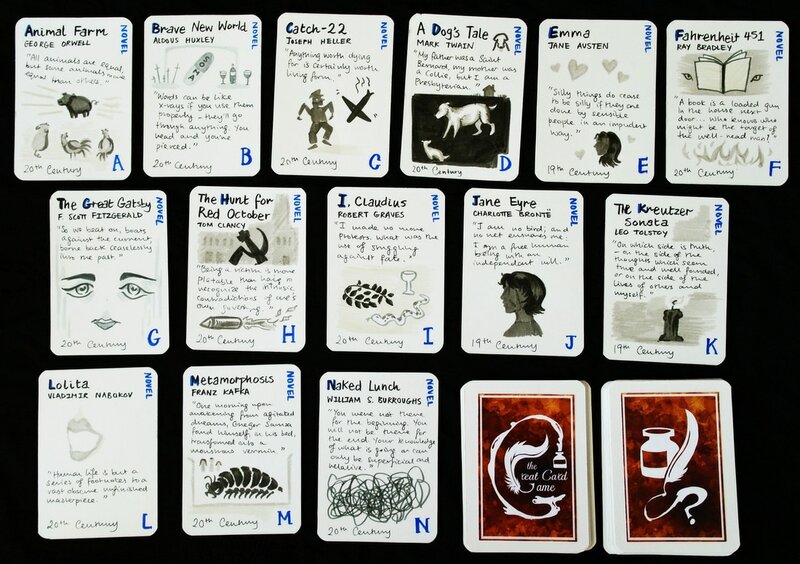 Players can only start with the 'G' card and can only place one card during their turn next to a consecutive card in the same suit. 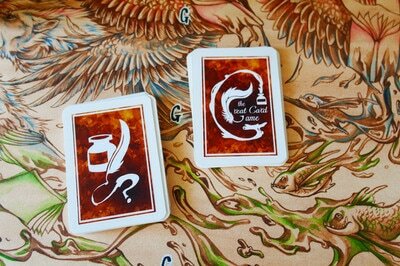 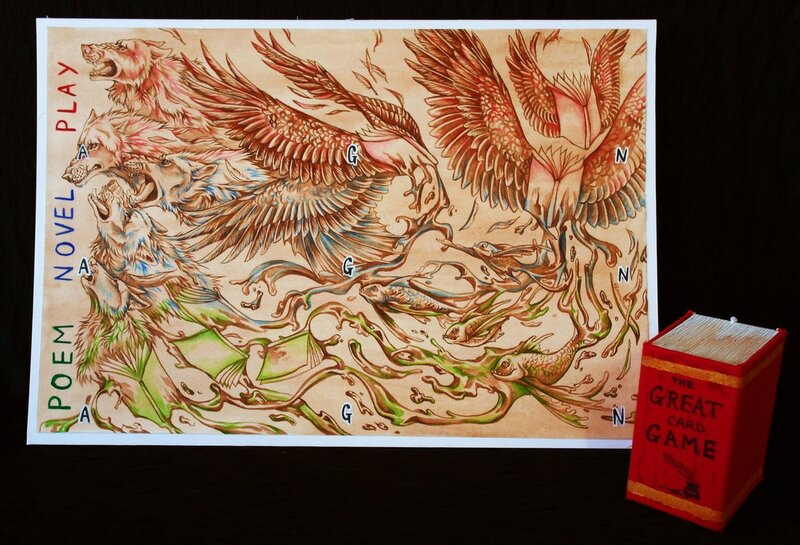 The cards fit into a sliding cloth-bound, book-shaped box and a board.